That evening, at sunset, they brought to him all who were sick or possessed with demons. And the whole city was gathered around the door. "I'm just not in a good headspace dude." That term "headspace" was a part of everyday slang in the late sixties and early seventies and it was shorthand for a sense of mental and spiritual wellbeing. The quest for a happy headspace often included music, forms of meditation, and even substances which were not legal. I heard a discussion about the partnership the National Basketball Association has entered into with a company called Headspace to help players deal with the stresses of life on and off the court. 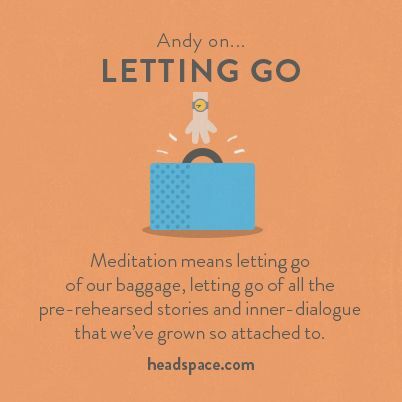 Headspace was founded a few years ago, by Andy Puddicombe, a former Buddhist monk, and Rich Pierson, whose background is in marketing. Headspace began by holding mindfulness talks in and around London and eventually developed a meditation phone app. I certainly support meditative and contemplative practices for those of us living fast-paced and pressure-filled lives. 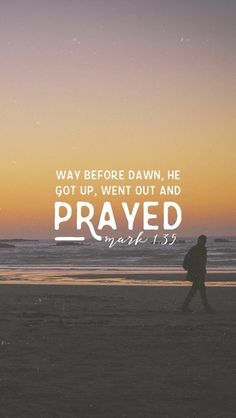 In the Judeo-Christian tradition there are many biblical examples of important figures taking time in prayer and retreat to commune with God, everyone from Moses to Elijah to Jesus to Paul. In Christian history there have been monastic orders for both women and men which balance "ora et labora" --prayer and work. I have benefited from time in convents and monasteries and other retreat settings to "kilter" my life. In the discussion I heard a person who is knowledgeable about meditation wondering aloud whether an app on a device which often disrupts our headspace can offer much that is helpful, and I had the same thought. Perhaps for a pro athlete who is constantly on a plane such an app might aid in focus and reorientation, yet surely there are deeper underlying issues for this age of anxiety in which we live. Renewal will include the commitment of time, the support of community, and the recognition of the Ground of Being, which is God. At least the NBA initiative is a recognition that stardom and wealth are not the keys to happiness and wellbeing. We all have our demons and finding a healing headspace is a desire for all of us. What do you think about Headspace and "headspace?" It's great to have all these mental health initiatives - many companies participate in mental health awareness week, there is so much talk about mental health, and of course high-profile suicides get people talking about the issue - but there is so much more that needs to be done. There is still a stigma attached to mental health. A family member recently had a very close call, and we have been dealing with the mental health system in a hospital for the last two weeks. I can tell you that the system is far from being what it should. There were a few shining lights along the way, however they were few and far between. Until society looks at mental health issues the same way as physical issues, things will continue to be problematic. Nobody questions someone if they have cancer. It should be the same for depression.